Panther Village offers distinctive apartment living that provides an off campus experience while remaining connected to a community of Chapman students. 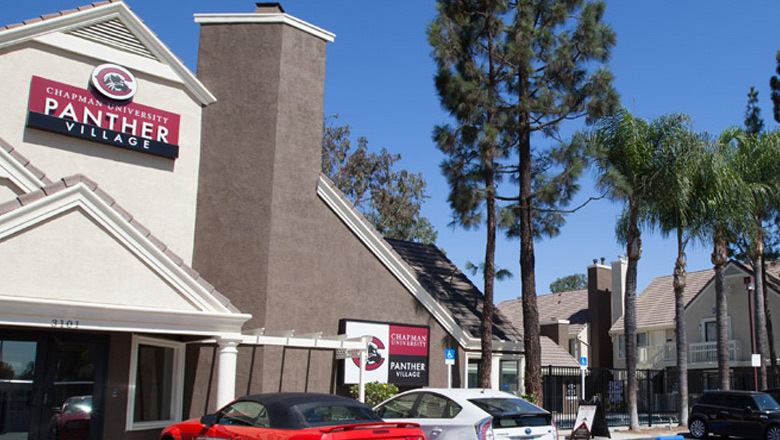 With Panther Village as your home, the Chapman University campus is only 2.5 miles away. A short ride on the Chapman University shuttle transports you from Panther Village to the campus and back. You can still have a meal plan while living in Panther Village. Check out the commuter meal plan options.